Laundry Services - design, manufacture & install cabinetry & millwork - Kitchener, Waterloo, Cambridge, Guelph - Homestead Woodworks. 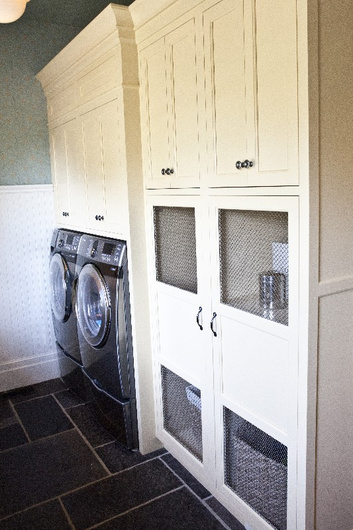 The mundane task of laundry and the typical unassuming room can be brought to a new level and function by a well-designed room and adding cabinets that match your lifestyle. You could leave the laundry door open when guests arrive.